Melanie Griffith’s third trip to rehab in 2009 was caused by her daughters who sat the 54-year-old actress down and convinced her to go. Griffith spoke of her impact on her family and resumed her acting career after rehab. 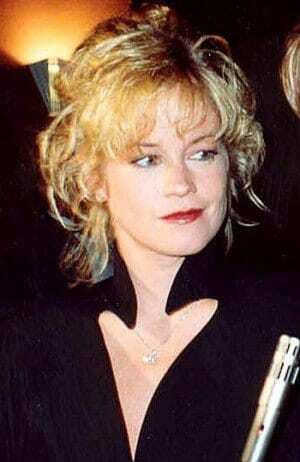 Melanie Griffith’s drug abuse began in the 80s after her success from her role in Working Girl, and her heavily publicized divorce with ex-husband Don Johnson. She began with a painkiller addiction but also formed an addiction to alcohol and cocaine. “Often times it takes for an addict to hear from the people that love them most, exactly how they’re being affected by the choices of the addiction,” said Kristina Wandzilak, founder of Full Circle Intervention, on Melanie Griffith’s persuasion. Griffith accomplished rehab three years ago and is set to return to the stage for a production called No Way Around But Through, written by “Hawaii 5-0” actor Scott Caan, whom will also star across the actress. Melanie Griffith’s most recent role runs through July 8 at the Falcon Theatre in Burbank. I simply want to mention I am just newbie to blogs and honestly liked this web site. More than likely I’m likely to bookmark your blog . You really have good articles. With thanks for sharing your website page.